Edited by Mark Neville and David Campany. Published by Steidl, October 2016. Fancy Pictures brings together six of Mark Neville’s major projects about working communities, made through a collaborative process and intended to be of direct, practical benefit to his subjects. The Port Glasgow Book Project (2004) is a book of his social documentary images of the Scottish town. Never commercially available, copies were given directly to all 8000 residents. A second Scottish project involved Neville living and working with the farming community of the Isle of Bute for eighteen months. Deeds Not Words (2011) focuses on Corby, an English town that suffered serious industrial pollution. Assembling photos and scientific data, he produced a book to be given free to the environmental health services department of each of the 433 local councils in the UK. In 2011 Neville spent three months working on the front line in Afghanistan, as an official war artist, making the project Helmand. Two projects for the USA are also included. Invited by the Andy Warhol Museum in 2012, Neville examined social divisions in Pittsburgh, while the photo-essay Here is London, commissioned by The New York Times Magazine, echoes the style of the celebrated photographers who documented the boom and bust of the 1970s and ’80s. 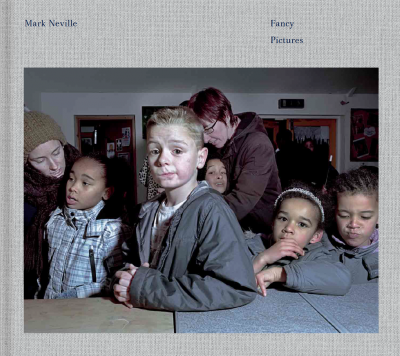 The book contains an extended conversation between Mark Neville and David Campany, covering all aspects of Neville’s practice.